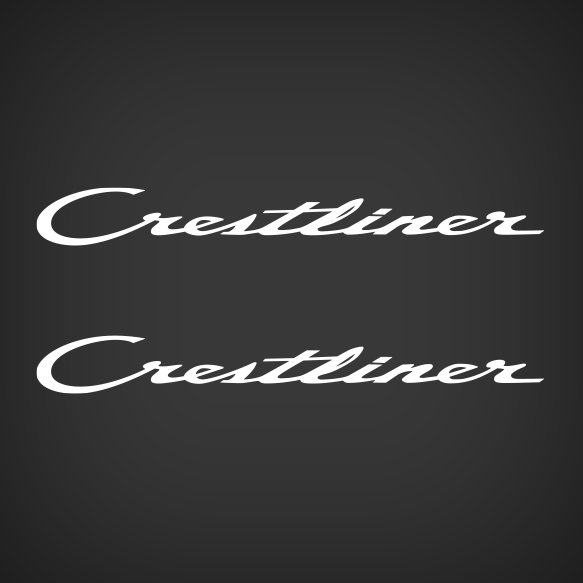 Decal set for Crestliner Boats. Decals are die-cut on Colored vinyl. Includes one decal for each side of your boat.